FIREWORKS went off last week for our Challenge families with a jam-packed schedule of exciting activities! Next up on the agenda, was the 19th consecutive Barker/Whitten Challenge Plate – an annual match in the AFL fixture played between the Saints and Bulldogs. The match was established in honour of club legends, Trevor Barker and EJ Whitten, both of whom were tragically taken by cancer, and whilst honouring them, the match seeks to raise awareness for their respective foundations, the Trevor Barker Foundation and the EJ Whitten Foundation. The Trevor Barker Foundation might ring a bell for some of you and that is because it is a charity partner of Challenge. The Foundation has been an integral part of our organisation, funding the purchase of Trevor Barker House in Torquay. This retreat was set up to provide support and respite opportunities for our families living in the difficult circumstances of having a child with cancer or a life-threatening blood disorder. We have the deepest respect and admiration for Trevor; the life that he lived and the way he strove to make a difference is inspiring for all. St Kilda may not have gotten the chocolates this year, but this match just proves that sometimes there is more to life than winning and losing a footy game. Still talking footy, another group of Challenge families were lucky enough to soak up that winning feeling on Sunday at the ‘G! 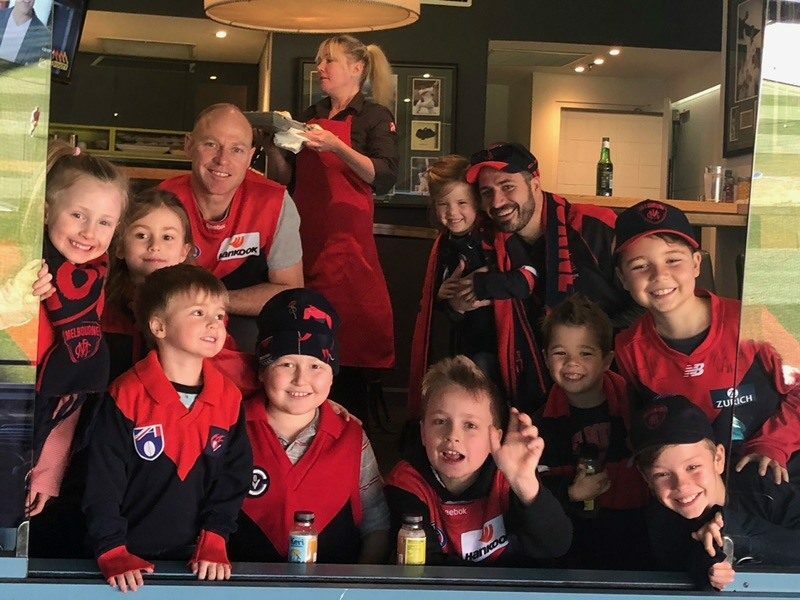 Enjoying gourmet food and premium viewing positions from their very own corporate box, these families were able to watch their beloved Demons demolish the Suns in the most ruthless of fashions as they – hopefully – make their way to September for the first time in 12 years. It sure was a great day to be a Dees supporter!